This is the latest version of the game! This interactive experience is an exploration of events unfolding in Syria. This is a news-game; a simulation that uses interactivity to explore a real world event. 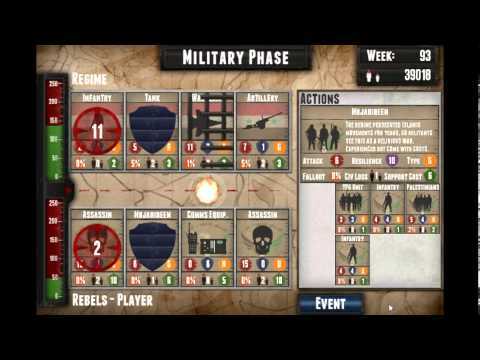 Developed by GameTheNews.net in around two weeks, the game allows users to explore the options open to the Syrian rebels as they push the conflict to its endgame. Each choice the user makes has consequences – the types of military units you may deploy, the political paths you choose to tread. Not only does each choice impact the current situation but your choices may also impact the final outcome. Users can play and replay events to see how different choices on the ground might lead to different outcomes.